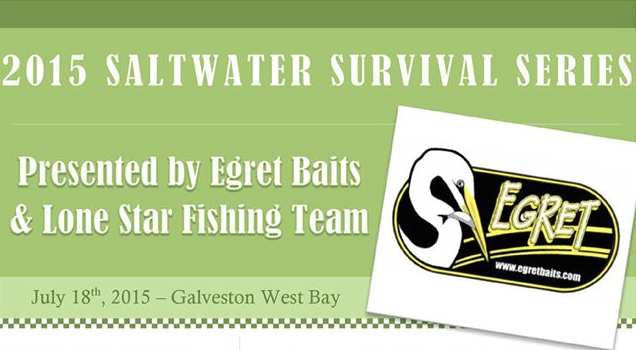 For those in the Galveston area that are looking for a different type of redfish tournament, check out the Saltwater Survival Series presented by Egret Baits and the Lone Star Fishing Team. Feel like you can catch tournament redfish without fishing your secret spot with your secret bait? Want to show your co-anglers you can? If so, this is the tournament for you. The Saltwater Survival Series is a unique kayak/canoe/wade fishing tournament designed to level the playing field and truly see which anglers can catch tournament fish with limited boundaries and limited lures in our version of a ‘Shotgun’ start. In this non-motorized watercraft ‘shotgun’ scenario, each angler will have to fish in the same boundaries after leaving the same spot at the same time (driving or paddling) and will be limited to the same 6 Egret lures. The boundaries of this tournament are the 332 bridge to the I-45 causeway (West Bay). No information will be given about where the mandatory am check-in will be until the Monday before the tournament or what six Egret lures you will get to throw, but we can assure you that you will not need your giant tackle box. Bring your hooks, corks and pliers and leave all other tackle at home. Take a look at the provided rules for additional details. Pay online now or pay the morning of the tournament. Looking forward to seeing you out there! This is an individual kayak/canoe/wade event and has a mandatory morning checkin, making this our version of a ‘shotgun’ start. This means all anglers will HAVE to check in in person the morning of the tournament before driving to their launch spot. The exact checkin and weighin location will be announced the Monday before the tournament. The boundaries of the tournament are the 332 bridge to the I-45 Causeway (West Bay). 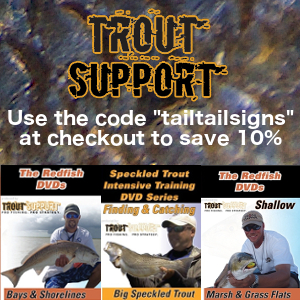 All fish must be caught by rod and reel using the designated artificial baits only. Each angler will be given the same 6 Egret lures the morning of the tournament. THESE ARE THE ONLY LURES YOU MAY USE DURING THE TOURNAMENT. Should you lose one, it cannot be replaced. Given this, there is no need to bring any other lures with you. You may use any hook and cork you like with these designated lures. Any kind of scenting spray is accepted. All State and Federal Laws Apply. At all times anglers must comply with US Coast Guard and State rules and regulations for the area you are fishing. Upon signing the waiver before launching, you are agreeing to all terms and conditions and are stating that you have read the rules and understand the law. Every fisherman must have a valid Texas Fishing License. Participation is open to anyone 18 Years of age or older. Registration is available either online or in person (Cash only) the morning of the tournament. This tournament islimited to ONLY 100 anglers, so make sure you sign up as soon as registration is available. All participants will be required to sign the waiver form during the morning meeting before launch. There are NO REFUNDS for cancelations. You can pay online or the morning of the tournament. This event is a wade/kayak/canoe tournament only. No motorized boats are allowed. No ‘ferrying’ from a motorized watercraft is allowed. As this is an individual tournament, no tandem boats are allowed. You may wade fish or bank fish but you must have your boat tethered to you at all times. What time is the mandatory morning meeting and when will you get your lures? You will get your lure bag when you sign the waiver the morning of the tournament. Waivers will be available to be signed at 5:30am and the mandatory morning meeting will start at 6:00 am the morning of the tournament and will be very short. The lure bags will be available until 9:00. If you show up after 9:00, you will not be able to fish the tournament. The weighin will start at 1:00 and the line closes at 3:00. You must be checked in at the weighin by 3PM or your fish will not be counted. The awards will be given at 4:00 SHARP! Safety: You must have your PFD within arm’s reach at all times. All anglers are responsible for their own well-being and determination of safe sea conditions. Honor System: Keep in mind this tournament is designed to ‘level the playing field’ by having all anglers launch at the same time in the same general area coming from the same meeting location and be limited to the same lures. As only one lucky top 15 finisher WILL be polygraphed (and asked if they stayed in the boundaries and used the designated lures), we trust that all anglers will abide by the honor system. Breaking the rules in any way will disqualify the angler from this tournament and all future Saltwater Survival Series tournaments. Breaking any rules to get an unfair advantage does not keep the playing field level and completely defeats the purpose of this tournament!!! Remember, there will be a large number of anglers leaving the same place and launching/fishing in the same areas at the same time, so please be courteous of other nearby anglers during the tournament. This is a two redfish stringer. You will receive a 0.5 pound bonus for EACH live fish you bring in. YOUR FISH MUST BE BETWEEN 20 AND 28 INCHES BEFORE YOU STRING IT. No frozen or mutilated fish will be accepted. The weighmaster, scorekeeper, and tournament directors have the final say in determining whether or not a fish is considered mutilated or frozen. You may not alter your fish in any way. Before stringing your fish, make sure you sweep the tail to make sure it does not exceed 28 inches. If there is a tie, the angler that weighed in first wins the tie. Prizes: The top 15 places will be paid with 75% of the entry fees. Raffle items will be posted as they are available. For more information contact Cameron Barghi @ (832) 289-0700 or email lonestarbeerfishing@gmail.com with questions.